Soon cars, drones, phones, and almost anything with a battery are about to get a boost from a new MIT spin-out, SolidEnergy Systems. The company promises to double the battery life of basic lithium ion batteries and will also offer smaller batteries with the power of bigger cells. Why is this technology important? Because it is better than current battery tech and can maintain an energy density of 400 Wh/kg, it’s non-flammable, and it can be manufactured inside existing factories. In short, it’s Li-ion 2.0. ￼While working as a postdoc in the group of MIT professor Donald Sadoway, a well-known battery researcher who has developed several molten salt and liquid metal batteries, Hu helped make several key design and material advancements in lithium metal batteries, which became the foundation of SolidEnergy’s technology. 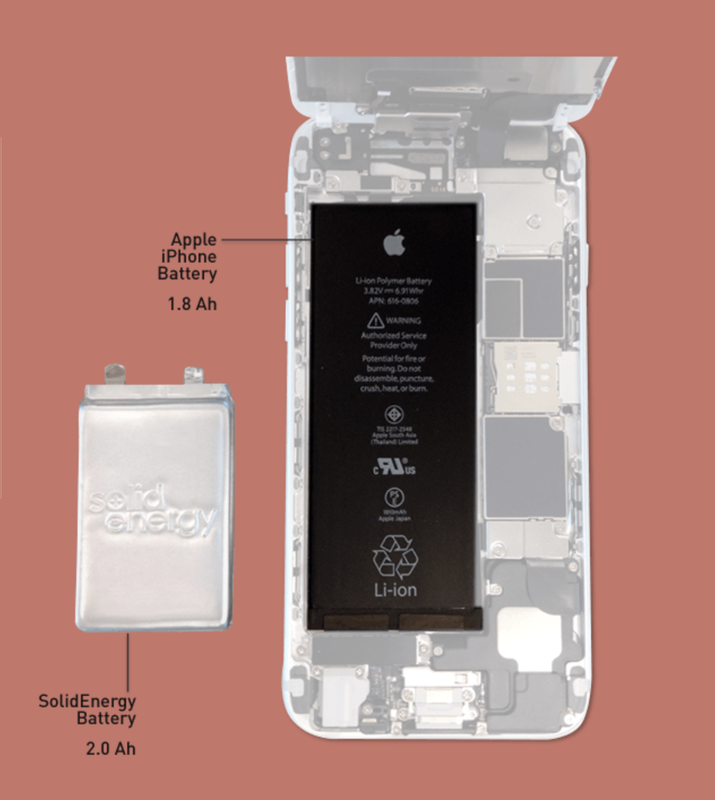 One innovation was using an ultrathin lithium metal foil for the anode, which is about one-fifth the thickness of a traditional lithium metal anode, and several times thinner and lighter than traditional graphite, carbon, or silicon anodes. That shrunk the battery size by half. So Hu developed a solid and liquid hybrid electrolyte solution. He coated the lithium metal foil with a thin solid electrolyte that doesn’t need to be heated to function. He also created a novel quasi-ionic liquid electrolyte that isn’t flammable, and has additional chemical modifications to the separator and cell design to stop it from negatively reacting with the lithium metal. The end result was a battery with energy-capacity perks of lithium metal batteries, but with the safety and longevity features of lithium ion batteries that can operate at room temperature. “Combining the solid coating and new high-efficiency ionic liquid materials was the basis for SolidEnergy on the technology side,” Hu says.